When you hear “Arrows”, you might want to stop everything you’re doing and just let this song creep up and take you over. This one is the latest from Evening Hymns, the first song we’re hearing from their upcoming release of Spectral Dusk (out in Canada on August 21, 2012 via Shuffling Feet Records, distributed by Outside Music). The album is a reflection, a study of loss, pain, and hope from songwriter Jonas Bonnetta as he deals with the loss of his father in 2009. 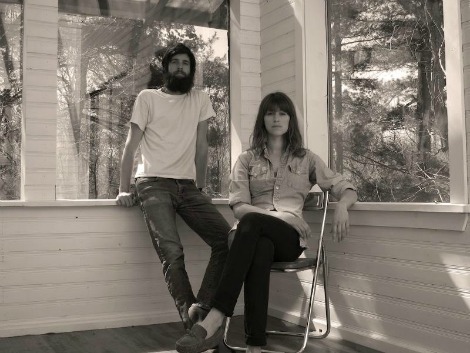 Calling on the band’s closest friends, including members of The Wooden Sky, City and Colour and Timber Timbre, the album was recorded over nine days in a log cabin in Northern Ontario by James Bunton (Ohbijou, Diamond Rings). Considered me very interested in hearing this record when its available, I’ll just keep looping “Arrows” until then.